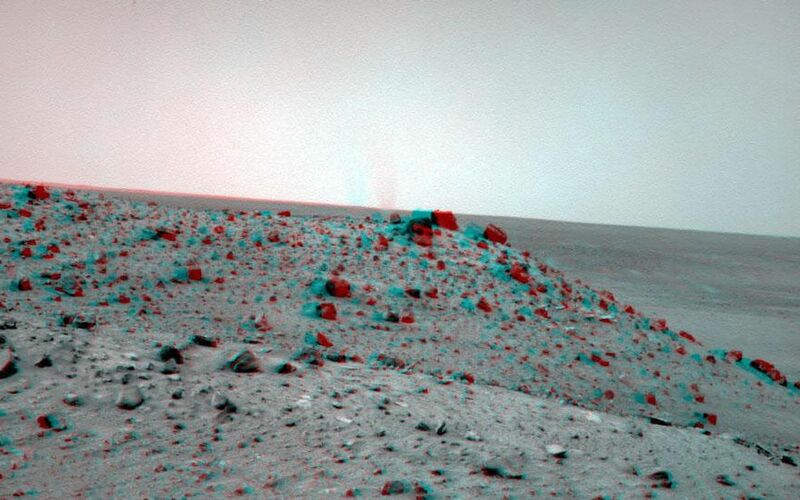 The navigation camera on NASA's Mars Exploration Rover Spirit caught this stereo view of a dust devil during the 1,913th Martian day, or sol, of the rover's mission on Mars (May 21, 2009). The view is to the west from Spirit's position at the "Troy" location where Spirit had become embedded a few weeks earlier. The dust-lofting whirlwind is out on the plain west of the Columbia Hills range that Spirit has been exploring since five months after landing on the plain in January 2004. 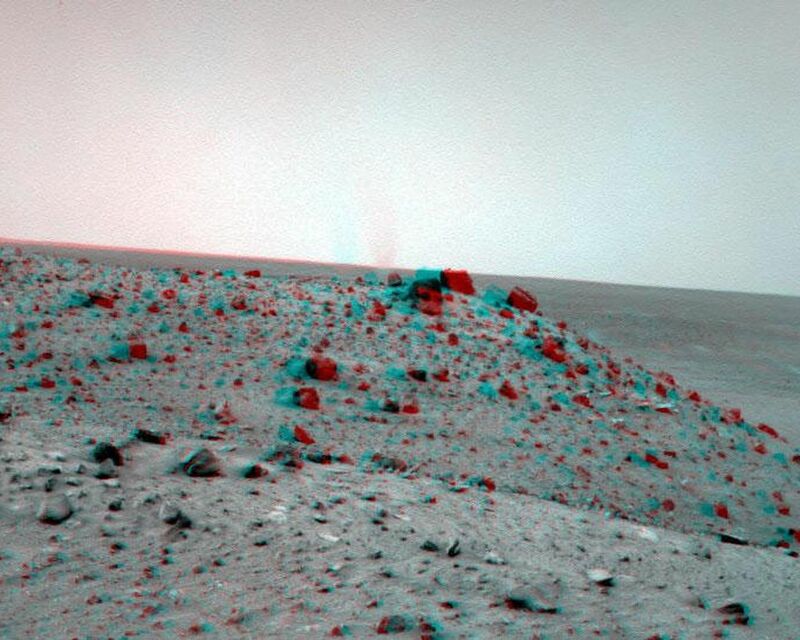 In the foreground is the northern end of a ridge called "Tsiolkovsky," about 25 meters (about 80 feet) from Troy. This view combines images from the left-eye and right-eye sides of the navigation camera. 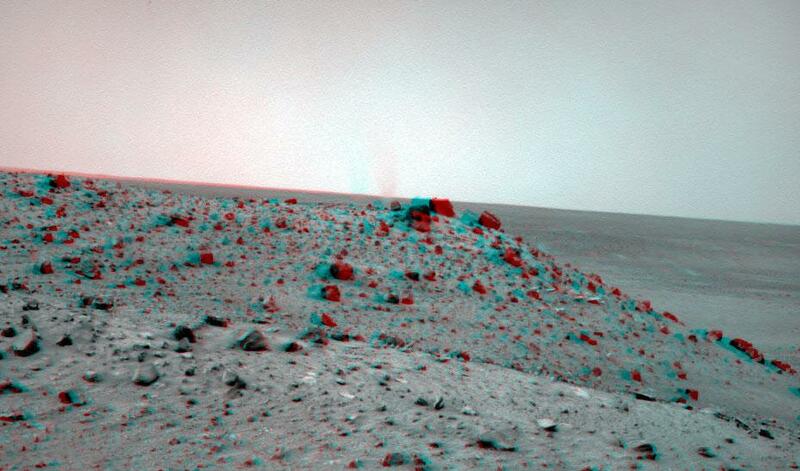 It appears three-dimensional when seen through red-blue glasses with the red lens on the left. 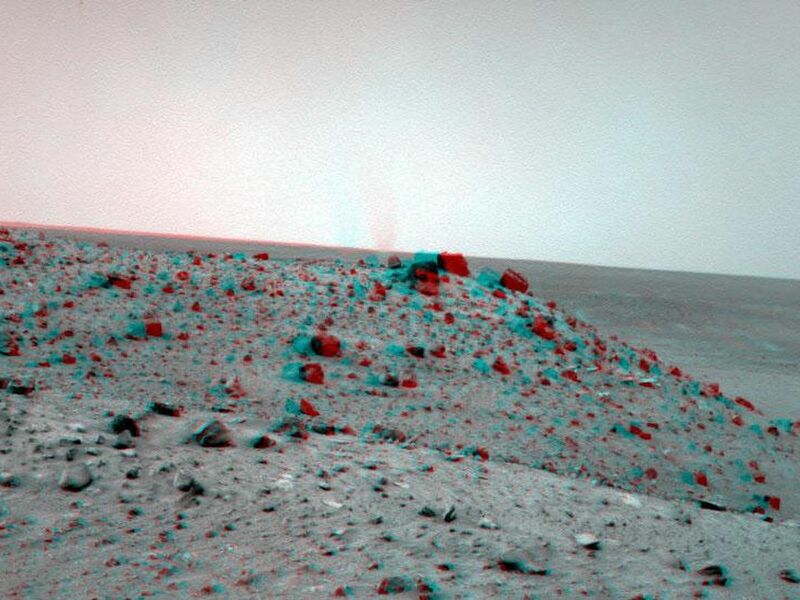 Dust devils occur on both Mars and on Earth when solar energy heats the surface, resulting in a layer of warm air just above the surface. Since the warmed air is less dense than the cooler atmosphere above it, it rises, making a swirling thermal plume that picks up the fine dust from the surface and carries it up into the atmosphere. This plume of dust moves with the local wind.